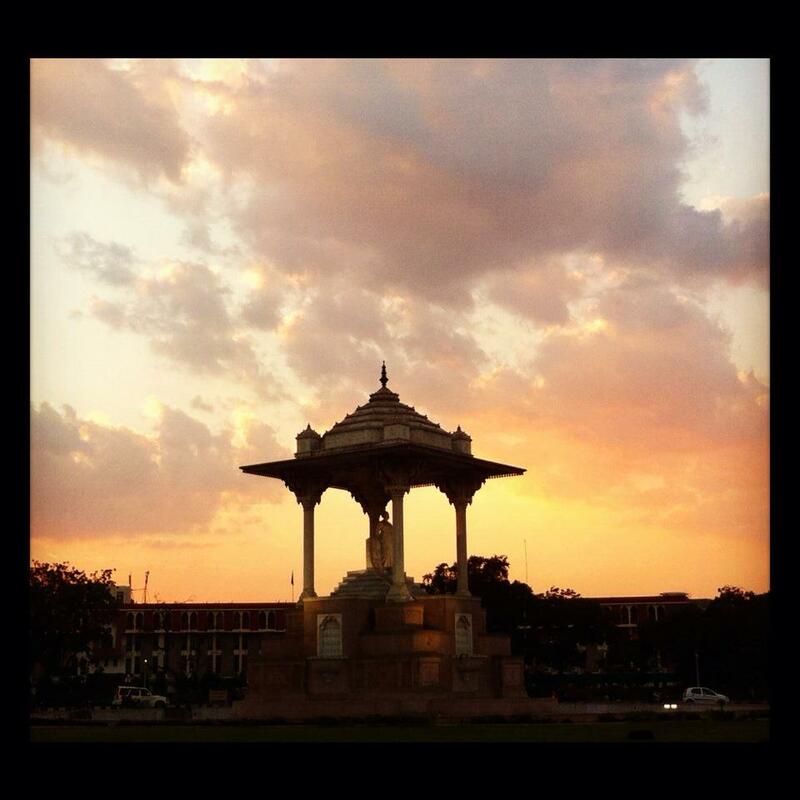 A Night-Out in the Pink City! If you want to pick up your car at 8:00 in the evening and want to be on the go for the night, what would your plan be? Whether friends or girlfriends, a new night-out idea always trumps the cliched clubbing plans! Charm your night through the Pink City’s modern-day and historical delights, so that when you come back home, it is an evening well spent. Could there be a better stress-buster to start your day-end trip than a refreshing drink? Didn’t Benjamin Franklin say ‘In wine there is wisdom, in beer there is freedom’! Drinks at the Henry’s, Park Prime could give your evening the perfect start. 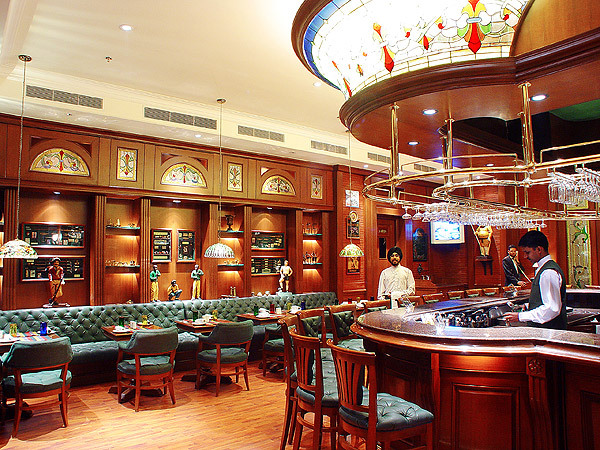 While beers and draught beers are usually stocked, they serve various spirits, cocktails and mock-tails. Their snack menu to go with the drinks has sumptuous Chinese, Continental and North-Indian preparations. My recommendations would definitely be Kathi Roll, Paneer Tikka, Fish Tikka, Chicken Stick, Mojito Mocktail, and Long Island Iced Tea Cocktail. Before heading for your car remember to hand-over the steering to the one who doesn’t drink or take a chauffeur-driven car. We insist don’t mix drink with driving. Through the drive after this appetizing drinks’ round, some romance with your partner or fun with your friends must be on your mind. Savour the emotion until your stomach groans for food. 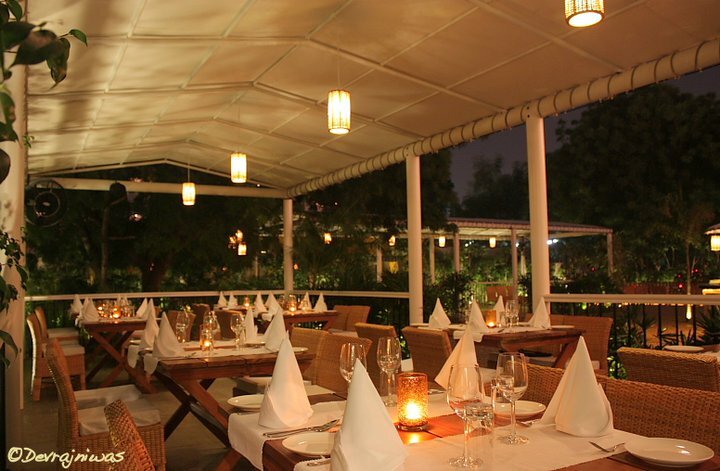 When you pass by The Forresta Kitchen & Bar at Devraj Niwas Hotel in Bani Park, stop your car as food here is the exact gourmet bliss your stomach must be craving for by now. As the name also suggests, the forest ambience, the light mist spraying and the muted lighting is the backdrop with a difference and adds further to your spirits. It is time for some reminiscing! 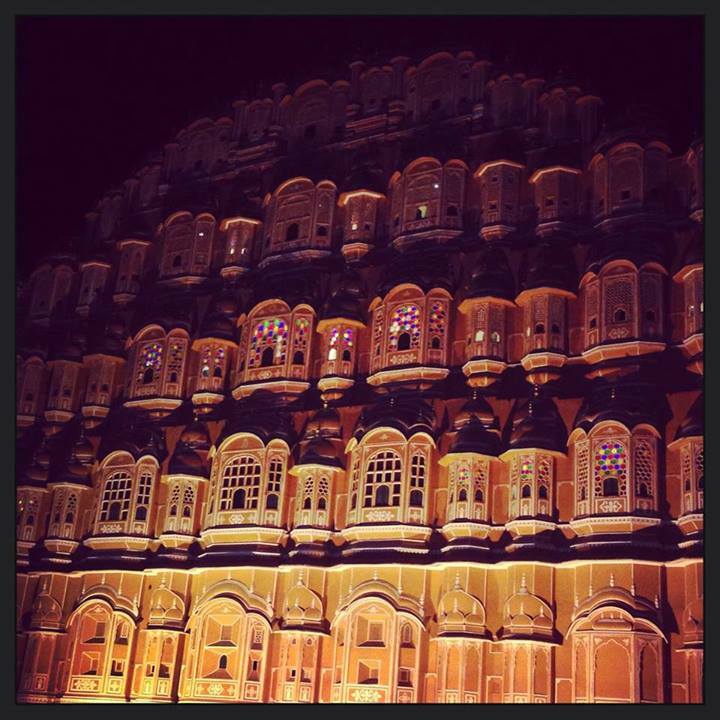 Recollect the good-old times while driving through the walled city, especially the Hawa Mahal revelling in the moon light. The chaos and bustle of this city area during the day, transforms into a peaceful and quiet place by the night, where you can cherish the beauty of the earliest built part of Jaipur. 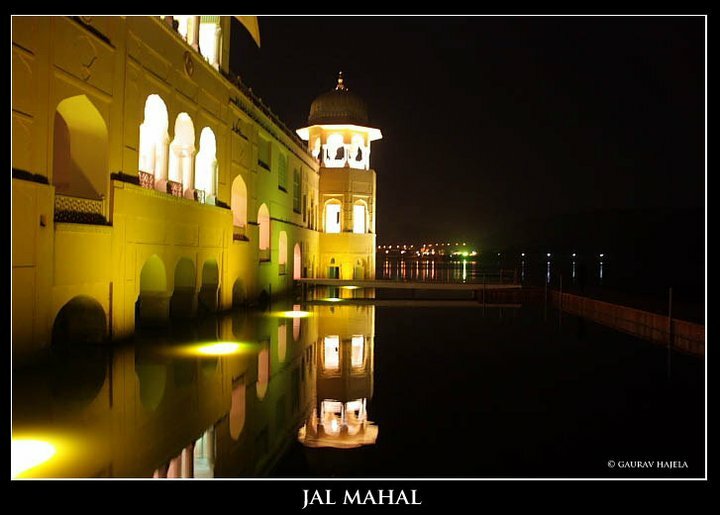 One of the most beautiful and serene places of the Pink City is Jal Mahal, and we Jaipurites are crazy about it. There couldn’t be a more romantic view than the reflection of the stars and the cobalt blue sky in the unruffled water. Drive back home through the Prithviraj Road to experience your car cruise. While crossing the Statue Circle, don’t miss the look of the erstwhile Maharaja (Sawai Man Singh) of Jaipur in his full glory. If the girls in your car are craving for an ice-cream, you know nothing beats Jaipur’s favourite Jal Mahal ice-cream parlour! Coming back home, you realise there was a lot of good time spent today to relish. So the next time you want to spend some quality time through the late evening that could possibly have a calming effect on you then you know the places to be in Jaipur. A late-nights’ drive with someone special by you is the best stress-buster ever! Next Post Mini Olympics to start in Jaipur from 3rd October! Out of the vast menu it will be difficult to give the rates.